A small city on the outskirts of St. Louis has ordered Alice Hezel to pull the swamp milkweed out of her yard because the city says it’s a weed and weeds aren’t allowed in Maplewood, Missouri. Maplewood is a city in recovery thanks to an influx of nice restaurants, a microbrewery and an Apple computer store. But it’s not a town where the rich and famous live. Real folks live there. The directive by the city may lead to pickets by the Monarch Butterfly as well as nature sympathizers because the swamp milkweed, along with other types of milkweed, is one of only a few places the Monarch will lay its eggs. Some believe the Monarch is still an endangered species and that North America must do all it can to welcome these refugees from Mexico. They breed here in summer and then go home to hibernate in winter. There are many beautiful large butterflies but few more beautiful than the Monarch. Its wings are a striking medley of orange, black and yellow, a welcome display of nature’s beauty in the United States and Canada. The people of North America would miss the Monarch if it disappeared. Alice Hezel, the swamp milkweed gardener now going to court, is a warrior for conservation in Maplewood. More than a few citizens feel that the city should rescind its order and leave her and her swamp milkweed in peace. Taking her to court over a matter like this makes little sense but a date for the trial has been set. We don’t want to deport the Monarch or have it go extinct on our soil. And we don’t want to build an invisible wall against the Monarch breeding by ridding our yards of swamp milkweed. The Monarch doesn’t need a passport. It delights everyone fortunate enough to see one. 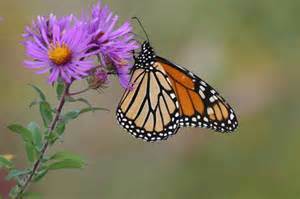 Let’s save the Monarch so our descendants will have a chance some day to see its descendants.